Divorce can be an expensive and time-consuming process. However, if the parties are willing to communicate with mutual respect, then mediation may offer a better outcome over litigation. A legally-binding agreement is produced as the result of a productive mediation process. Mediation is most successful when both parties understand what it is and what it is not. Here are some common myths involving mediation. The mediator makes the decisions on pertinent issues. The reality of mediation is that the mediator has no decision-making authority. The mediator’s function is to facilitate the parties’ ability to reach their own agreement. The mediator gives legal advice. Even if the mediator is an attorney, the mediator’s function is not to give legal advice to either party. The mediator’s function is to assist the parties in reaching a mutually agreed upon outcome. The mediator represents a particular party. The mediator is an independent neutral third party and does not represent either party. Discussions that occur during mediation may be used against a party, should the case go to court. False. Conversations that occur during the course of mediation are in fact confidential and without prejudice. The goal of mediation is to enable people to be creative and make suggestions without fear of those suggestions being used against them in a courtroom in the event that mediation is unsuccessful. Mediation is required. In some cases, though not all, mediation is court-ordered and therefore, required. In such a case, mediation is not optional. Mediation is optional. In the absence of a court order, the parties’ decision to participate in mediation is optional. The process can be terminated when either party decides to do so. An individual has no opportunity to speak with the mediator privately. In fact, circumstances often warrant private conversations between the mediator and a participant. Such a private conversation is known as a caucus. A caucus can occur when the mediator believes it is appropriate, or at the request of either or both parties. What occurs in a conversation with a mediator during a caucus will not be shared with the other party by the mediator unless that party gives the mediator permission to share that information. Mediation can work for everyone. Sometimes litigation is required. 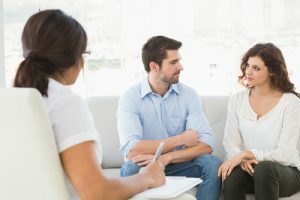 But understanding what mediation is and what it is not allows both parties to better weigh the available options and may result in a better outcome. 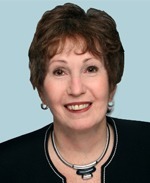 Linda Sorg Ostovitz is ready to serve your every need in family law, whether in litigation, mediation or arbitration, we are here for you. Contact me today for more information at lostovitz@offitkurman.com or (301) 575-0381.